Immigration Law of Montana, P.C – Serving residents of Montana, North Dakota, and Wyoming – Shepherd, MT, US. Organization Immigration Law of Montana, P.C – Serving residents of Montana, North Dakota, and Wyoming – Shepherd, MT, US. In addition to helping residents of the region above and below the border, Immigration Law of Montana, P.C. has helped clients from the Rocky Mountain States of Colorado, South Dakota, Wyoming, Utah and Idaho. Many former clients who have relocated across the United States have also requested our services when a new immigration need arose. We have even helped clients as far away as Florida. It doesn't matter what your need is we can help you. We like to start off each client relationship with a strategy consultation. In this way we can understand your situation. Once we understand your situation, and not before, we can go over alternatives for your case. We help you understand the pros and cons of each route so you experience no surprises. A common example illustrates this idea. Many of our clients marry or are already married to US citizens in Canada or Mexico. Being located in a country that borders the United States, they are eager to start a new life in the US with the spouse. However, these same clients are concerned that everything go correctly so that they are not separated for long. These clients have options. So it is important to help them understand their options. We make sure to answer every question so when the client embarks on the immigration journey, he or she will successfully make it to end, achieving the desired goal. Understanding and achieving a client's goal is our primary object in serving clients. Sometimes clients think that all immigration attorneys do is fill out forms. While making sure that every application is complete and correct is an important part of what we do, converting our knowledge of all the nuances of a particular process so it works smoothly for the client, no surprises, is our best client help. We believe this attitude is reflected in our client reviews, which so far, are 100% positive on FaceBook, Google and Avvo. Please check them out. So wherever you are located, and no matter your immigration issue, Immigration Law of Montana, P.C. can assist you with friendly Montana style immigration advice and help. We will achieve your goal for you. Visa experts – Certified and registered Immigration Experts – New Delhi, India. AANDC Immigration – Best Immigration Consultants in Delhi – New Delhi, India. 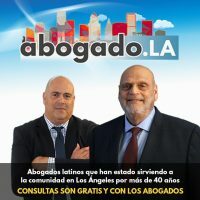 Abogado La – sirviendo a la comunidad hispana en Los Ángeles por más de 40 años – Los Angeles, US. FastIncNow – Expert guidance on starting and operating a business – Las Vegas, NV 89107 US.